These beautiful birds inspect and patrol the Chobe River all year round. They are truly icons of the African bush. 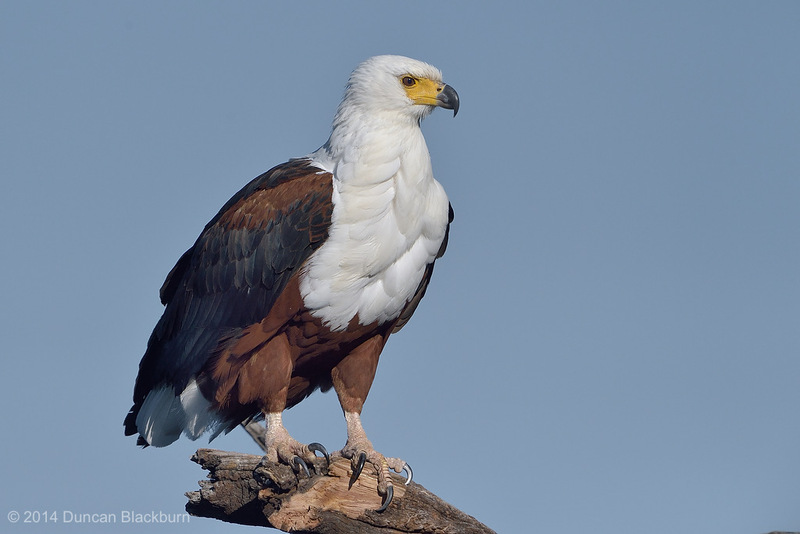 This is a large species of eagle that is found throughout sub-Saharan Africa wherever large bodies of open water occur that have an abundant food supply. It is the national bird of Zimbabwe, Zambia and South Sudan. This species is listed as Least Concern by IUCN. The estimated population size is about 300,000 individuals with a distribution area of 18,300,000 sq km. This image was captured on the Chobe River, near Kasane, northern Botswana, Southern Africa.